The cooling circulating water system is a heat sink that is usually made of steel. The heat can be transferred to the air through the water to achieve the purpose of cooling the equipment and ensure the normal operation of the equipment. 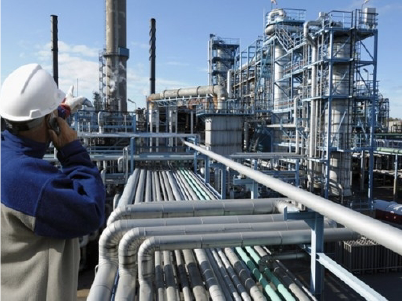 Common applications include chemical plants, steel mills, thermal power plants, and more. 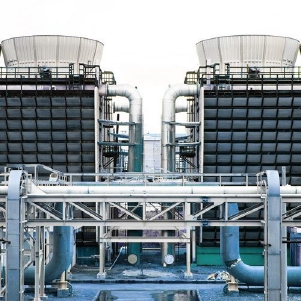 These cooling water systems have a huge amount of water, a typical petrochemical plant has a circulating water volume of 80,000 cubic meters per hour in its cooling water system. The cost of cleaning the cooling water system blockage is billions of RMB in CHN. And the energy consumption due to blockages reached $1 billion in the USA. After a certain period of use, the circulating cooling water will discharge part of the natural water, and then introduce new water for cooling water system. However, as the number of cycles increases, organic nutrients and mineral ions are accumulated which will lead bacteria growth quickly. These bacteria are mainly classified into iron bacteria and biofilm-producing bacteria. Iron bacteria are a class of autotrophic or heterotrophic bacteria that can oxidize Fe2+to Fe3+. 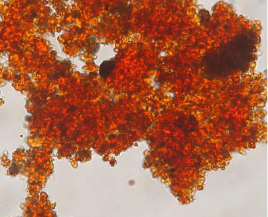 These Fe3+ are converted into iron hydroxide precipitates, which are the main components of rust and constitute a blockage of the cooling water system. Rust is the porous hard framework that slows water flow and provides a larger adsorption surface area for bacterial growth. 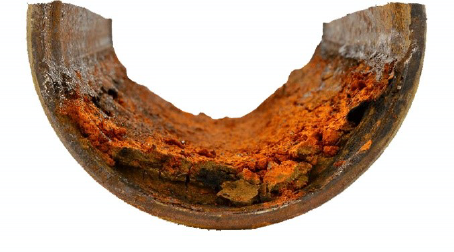 Iron bacteria corrode pipes 10 to 1000 times more than natural corrosion. 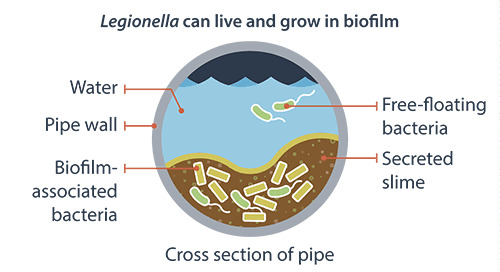 Biofilm-producing bacteria are a class of bacteria that produce biofilms (many iron bacteria also have this ability). Biofilms are usually polymers composed of extracellular polysaccharides, proteins, lipids and DNA. The biofilm forms in the pipeline and be a soft skeleton of the blockage in the cooling water system, which slows the water flow rate and provides a barrier to the bacteria from the adverse effects of substances such as external antibiotics. 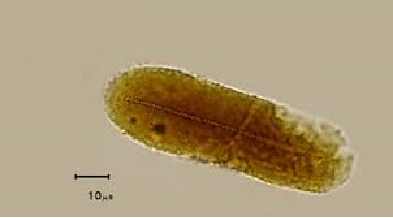 In summary, the metabolites(rust and biofilm) of the two kinds of bacteria cause blockage of the pipeline system, and create favorable conditions for the growth of other bacteria, so as to protect them from external antibacterial substances, causing clogging problems that cannot be eradicated. And blockage will reduce the heat exchange rate , reduce the inner diameter of the pipe and increase energy consumption. More than that, the breeding of these bacteria not only causes blockage problems, but more seriously, this environment in cooling water system is extremely beneficial for the growth of Legionella, including Legionella pneumophila, Mycobacterium avium, etc. If Legionella spreads into the air, it will cause serious healthy problems. In view of the above-mentioned causes of blockage, three problems are currently being addressed: rust deposition, biofilm accumulation, and microbial activity. 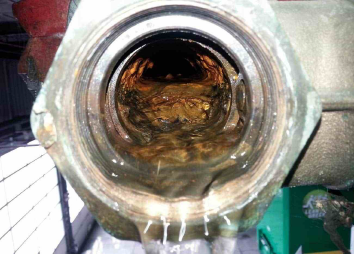 In response to the problem of rust deposition, people initially added diluted strong acids such as sulfuric acid and hydrochloric acid to the cooling water, but this brought about problems of acid-containing wastewater treatment and secondary corrosion of iron pipes by strong acids. 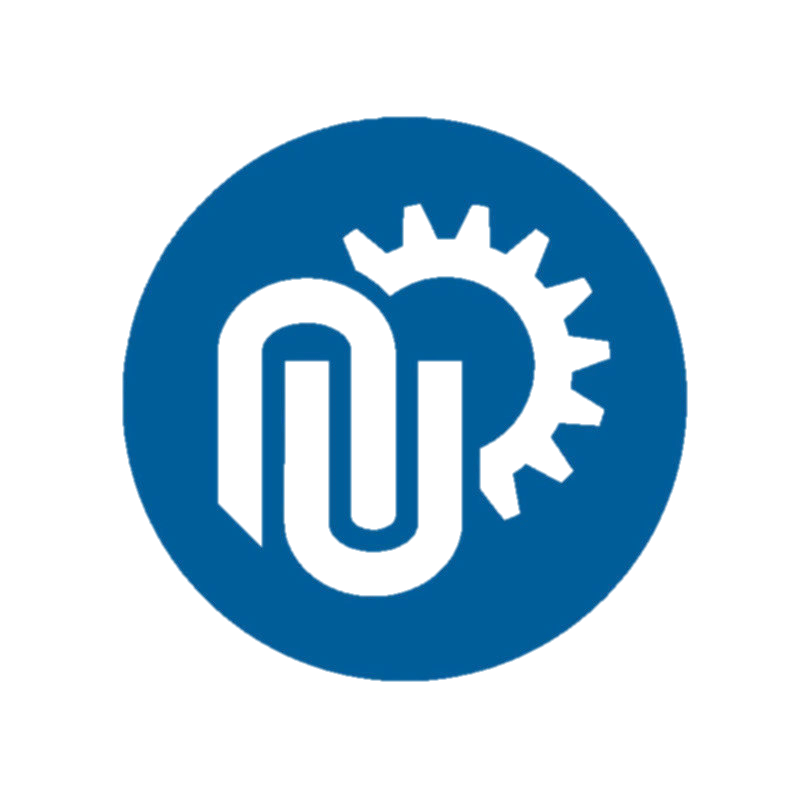 Some new non-acidic rust removers have emerged but are often expensive and inefficient. For the biofilm accumulation problem, the current common method is to add a dispersing agent such as hypochlorite. However, in addition to the potential dangers of such substances, more importantly, they will form persistent chlorinated organic compounds, including known carcinogens, which can be absorbed by organisms and enter the food chain. For microbial activities, antibacterial substances such as isothiazolinone are added. However, these substances are corrosive and irritating to the human body. These three problems are often not solved at the same time, and these chemicals can cause great direct or indirect harm to the the human body and the environment. Therefore, we need to solve this problem from a new method! 3. Andrews, Simon; Norton, lan; Salunkhe, Arvindkumar S.; Goodluck, Helen; Aly, Wafaa S.M. ; Cornelis, Pierre (2013). ”Chapter 7, Control of Iron Metabolism in Bacteria”. Metallonmics and the Cell. 5. “B & V Group, Cooling Water System Chemical Range, Non-Oxidising Biocides”, Archived from the original on 29 August 2016.Retrieved 14 December 2016.